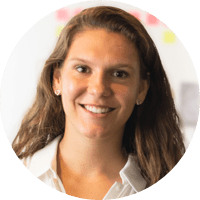 Course Report recently spoke to Springboard student Kelly Hart about her decision to enroll in the UX Career Track, the challenges of balancing the course and a full-time job, and what she hopes to do after graduation. Tell me about your background and how it led you to studying UX design at Springboard. Two years ago, I took an online, 10-week HTML and CSS course with General Assembly, which gave me a chance to try design and coding. I loved being able to design websites, I thought it was a lot of fun. I became friends with a couple of UX designers at my company and eventually decided to pursue a career in UX. I considered General Assembly’s full-time, 10-week UX course at their campus in Atlanta, however, I didn’t want to quit my job and they had a higher price point than I was comfortable considering without working. I started exploring other options that would allow me to work at the same time—that led me to Springboard. My company allowed me to reduce my work to 30 hours per week so I could dedicate time to learning UX. I was really fortunate that they were able to work with and invest in me to help me achieve my career goals. The price was another deciding factor. Springboard is partnered with a company that gives out $500 scholarships to women who are pursuing a technical career, so I was able to get that. I got a lower overall price with all the same benefits as an in-person bootcamp. They also have a job guarantee—if you aren’t able to land a job within six months of graduating (with their assistance), you’ll get a full refund for the course. The course material is all online; they have several different units and each unit touches upon certain subjects in the UX realm. You start with basic subjects and end with a capstone project that puts your skills into practice. Along the way, you’re learning about components of UX workflows and project timelines, and you learn how points of primary or secondary research can be applied to your design for your capstone project. 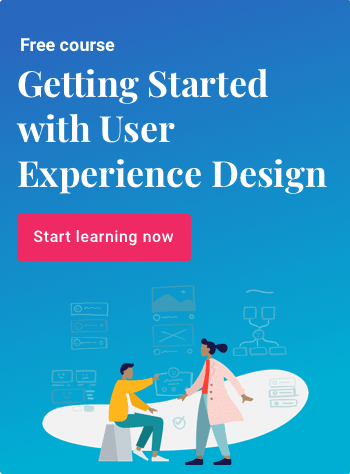 The course goes into every step of the project, and you get helpful industry articles on a research or UX design method as well as walk-through videos and content. Each of the 25 units over the six-month period has at least one project that lets you apply the ideas you’ve learned and figure things out on your own. My first mini-project was to go out and observe people using a specific item. Those mini-projects help you understand an idea or component of UX, then you’re able to discuss it with your mentor, and apply it to the larger project for the course. I’ve loved the course so far—it’s been a really great experience and I’m glad I chose Springboard. I want to get into UX design and improve my research and interviewing skills. 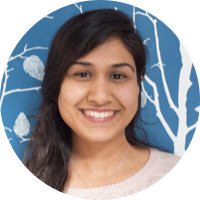 She has a doctorate of psychology and went through the same explorative options when she went into UX. 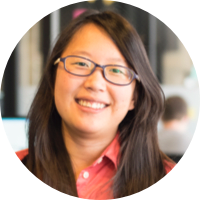 After she got her doctorate degree, she became curious about UX and the technical fields, so she also did courses in HTML and CSS and then in Photoshop and Illustrator, which led her to UX—similar to my path. Psychology aligns well with the research element so she understands the research side which I’m interested in learning. I want to know how to improve how I conduct interviews with people, improve my research skills, and apply those findings to design. I also want to get into brainstorming and designing product solutions for the project based on the research. I felt like Springboard did a great job of matching me with someone whose experience and interests closely mirrored my own. Since I work 30 hours per week, I spend about 20 hours per week on the UX Design Career Track to stay on the six-month schedule. They don’t have a hard cutoff—you can still do courses and ask questions after six months—but by doing 20 to 25 hours per week, I’m able to get through things and finish the course in a more timely manner. I try to complete at least four hours a day after work so I don’t have to do it on the weekends. I’m holding myself to the six-month timeline because I want to finish soon so I can start pursuing a UX career. We’ve done a bunch of little mini-projects, but I’ve enjoyed the overall capstone project since you’re able to choose a project to work on or a problem to solve. I’m looking at making a more intuitive recipe app. I found when people go home, they’re not sure what they want to eat at dinner that night, or they’re not sure how to use what they currently have in their pantry and items go to waste. I want to solve that problem and make people excited to cook. I have really enjoyed learning and understanding other people’s experiences, as well as starting to design and sketch out ideas for the app. It’s a lot of fun to work on. For the rest of Kelly’s conversation, including advice she has for others going through an online UX bootcamp, head over to Course Report’s blog. Learn more about the UX Career Track, our mentor-led course with a job guarantee, here.